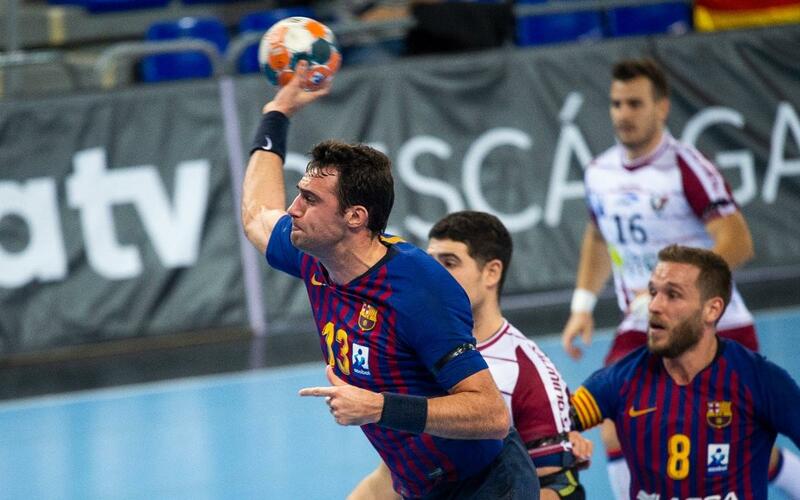 Another ruthless display from FC Barcelona Lassa makes for 13 wins in 13 games in a Liga Asobal that is all blaugrana once again. Condes de Albarea Teucro were trounded at the Palau Blaugrana 41-26 in a somewhat one-side encounter. Ariño banged in ten goals but the real high point was impressive debut nights for three promising youngsters: Àlex Pascual, Mamadou Diocou and Juri Knorr. Barça: Gonzalo, Víctor Tomàs (5), Sorhaindo (2), Andersson (2), Aitor Ariño (10), Dika Mem (-), Pálmarsson (-), Möller (ps), N’Guessan (2), Syprzak (3), Thiagus Petrus (-), Dolenec (3), Duarte (3), Àlex Pascual (6), Diocou (5), Juri Knorr (-). Periods: 5-4, 7-5, 10-6, 17-7, 19-8, 22-11 (HT), 23-13, 29-16, 32-18, 36-21, 40-25, 41-26 (FT).